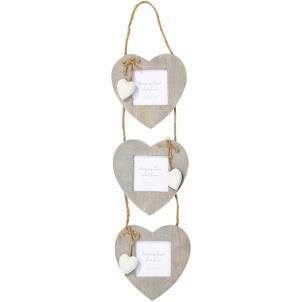 Display those special pictures in this triple heart hanging frame. With its rustic wooden look, it is a great addition in any home. It also makes a great gift for New Home, Weddings and anniversaries.